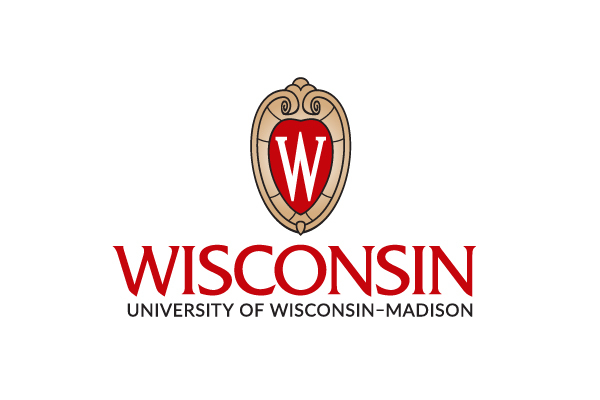 UW–Madison’s institutional logo, a combination of the enduring “W” crest and “Wisconsin” wordmark, has been core to the university’s visual identity since the late 1980s. The visual inspiration traces back even farther—to 1929, when the crest was first constructed as an architectural element on the Wisconsin Field House. The crest remains a familiar campus icon and a lasting symbol of the UW’s long tradition of prestige and spirit. Over time, the institutional logo has been refined to better accommodate readability in smaller sizes and on digital screens. To allow greater flexibility, the logo has been designed in vertical and horizontal formats, with reversed options. Full-color, black, red, and white outline versions of the logo are available for download below. Other versions of the logo—particularly for embroidery and specialty print needs—are available upon request. (When necessary for specialty printing, the tan gradient in the crest can be substituted with Pantone color 468c to create a flat logo.) Please contact University Marketing for other options if the following crest versions available don’t fit your specific need. In limited circumstances, such as the need to use the logo in a size that would be too small to read the words, it is acceptable to use only the “W” crest. 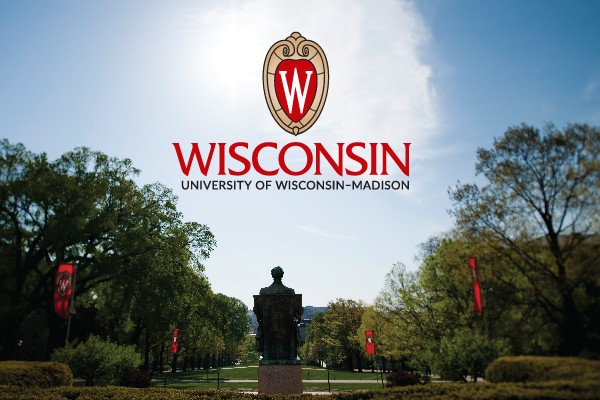 Campus units may use a secondary logo that incorporates the “W” crest, official fonts and colors, and a specific configuration in keeping with UW–Madison visual identity standards. Units should not attempt to create their own version of the secondary departmental logo or alter the departmental secondary logo in any way (see below for usage guidelines). University Marketing will create a secondary logo for your unit free of charge upon request. University Marketing can also help units create specialized logos for a specific purpose (such as an anniversary) that will be used only during a specific timeframe (such as one year). University Marketing advises against using secondary logos on the web. Contact University Marketing if you have questions. 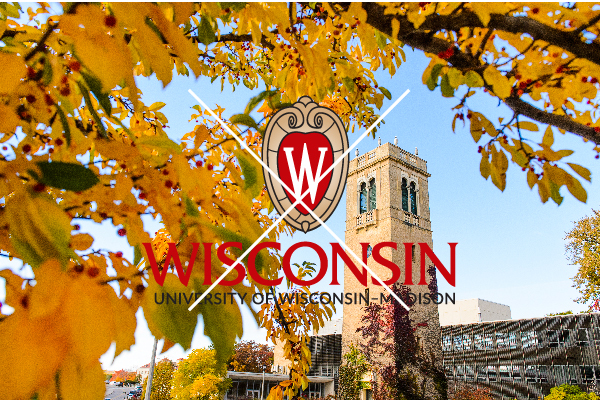 Entities closely affiliated with the university, such as the University of Wisconsin Foundation, are allowed to incorporate key elements of the core brand (such as the “W” crest and official fonts and colors), but are encouraged to do so in a way that establishes a more independent visual identity. With approval and consultation from University Marketing, certain campus units may use their discretion in creating their own unique brand identity or connecting to the UW–Madison brand in an understated manner (reasons for this may include an equal partnership with multiple universities, a substantial external funding source that must be prominently acknowledged, or a mission that differs significantly from UW–Madison’s core mission). Contact University Marketing with questions related to independent branding. In addition to the institutional logo, you may see a number of other official UW–Madison logos used around campus. 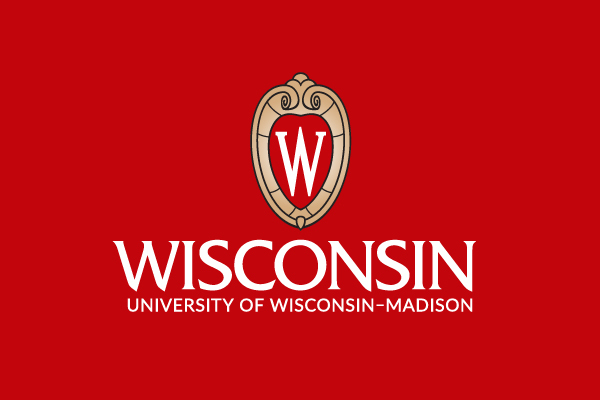 All questions related to UW–Madison’s official logos, with the exception of the “W” crest, should be addressed to the Office of Trademark Licensing. The Office of Trademark Licensing is the entity charged with protecting and controlling the use of UW–Madison’s indicia, and ensuring proper quality and appropriateness of products, promotions, and advertising upon which those indicia are used. 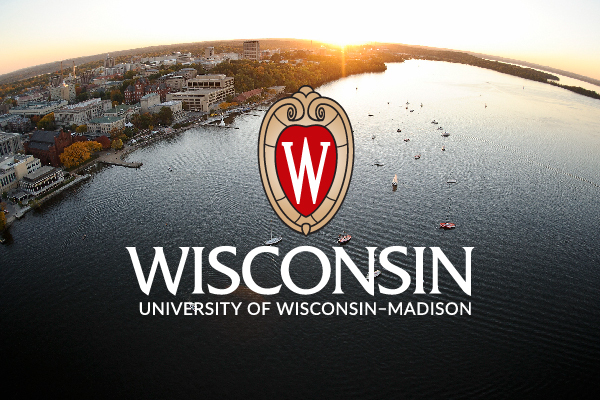 Licensing of university trademarks promotes and protects the image of UW–Madison. Campus units must receive approval from the Office of Trademark Licensing prior to use of any trademarked logos (with the exception of the “W” crest). The most common logos—the Motion W, Bucky Badger, and the Numen Lumen—are detailed below. Other examples include the Terrace chair logo and Wisconsin football helmet logo. 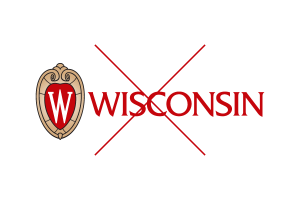 The Motion W is the official logo for UW athletics and is restricted to such use. It should never appear in nonathletics materials. UW–Madison’s official mascot, Buckingham U. Badger (better known as Bucky Badger), is represented in several logo versions that are most often used for UW Athletics or school-spirit materials. Given the Bucky symbol’s long history and the feelings of goodwill that it conveys, some nonathletic uses are allowed. 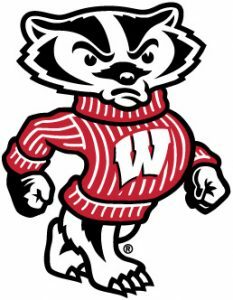 The official Bucky Badger logos must not be altered in any way, such as introducing different colors or adding clothing items or symbols to customize a logo. 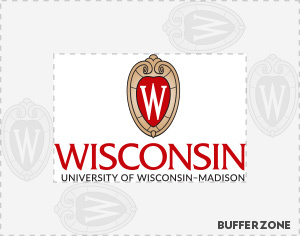 UW–Madison’s official seal, the Numen Lumen, is reserved for use on official administrative materials, such as certificates. It should not be introduced on materials for individual campus units. 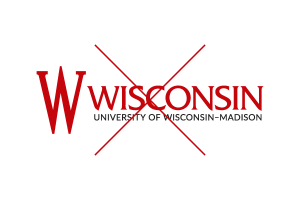 To protect the strength of the brand and prevent visual clutter, official UW–Madison logos should never appear together. In the event of co-branding, co-sponsorships, or partnerships, see below for suggested treatments. 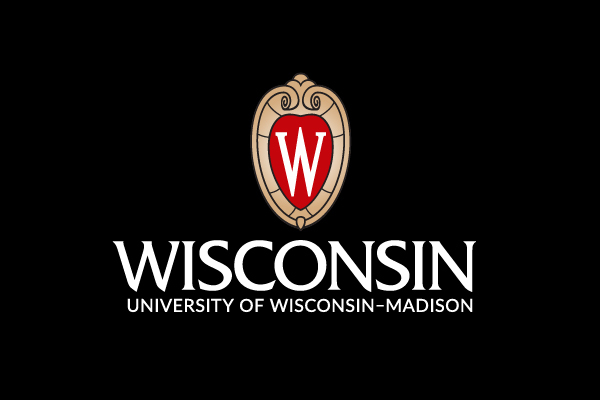 When multiple UW units are equal sponsors or partners, use the UW–Madison primary institutional logo. To the right of the logo, list the names of the sponsoring/partnering units in alphabetical order. The size of the font should be similar to that of the “University of Wisconsin–Madison” text within the logo. 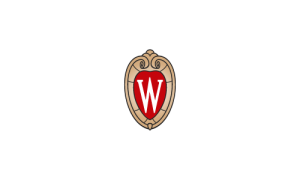 If there is a primary UW sponsor/partner, use its official secondary departmental logo. To the right of the logo, list the names of the other sponsoring/partnering UW units in alphabetical order. The size of the font should be similar to that of the “University of Wisconsin–Madison” text within the logo. If a UW unit is partnering or co-sponsoring with outside companies, organizations, or institutions, it is acceptable to use both the unit’s official secondary departmental logo and the external entity’s logo. 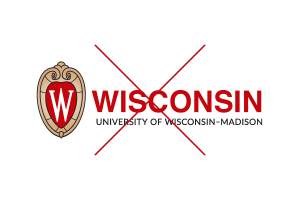 However, the UW–Madison logo must always be at least the same size and at least as prominent as the external entity’s logo. Make sure there is ample space between the logos; it must always be clear that they are two separate logos. 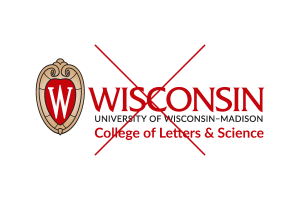 Campus units must follow standards that protect the integrity of official UW–Madison logos. Distorting or altering the primary institutional or secondary departmental logos in any way is strictly prohibited. The logos are graphic elements that use official type fonts and colors in specific configuration. Do not adjust the color or substitute type fonts in the logos. The logos may not be reconfigured or combined with elements of other logos. Do not include them within narrative text to replace words or attempt to re-create them in any way. Official logos should be included on publications and materials that are developed for university entities. The logos must only be used for official university business and are prohibited from use to promote nonuniversity activities or imply endorsement of a nonuniversity activity or product. To protect the logo’s integrity and avoid visual distractions, a minimum amount of space must be maintained between the logo and type or other graphic elements (including folds, trims, or edges on a page).  For printed pieces, this buffer zone must match the width of the “W” crest; this will allow a proportional buffer zone as the size of the logo increases and decreases. For standard printing, University Marketing recommends that the “W” crest should be no smaller than a height of .5 inch. For specialty items such as pens, University Marketing recommends a minimum height of .375 inch and advises choosing a pen that has a larger image area. Graphic designers may use their discretion in circumstances that cannot accommodate this minimum height. When printing the logo over a background color or a photograph, make certain that the background is light enough to allow the logo to be legible. Do not add a drop shadow or outer glow in an attempt to make the logo more visible on an unsuitable background. To allow greater flexibility, the logo is also available with the text lines reversed out to white. When reversing out the logo on a background color, make certain that it is legible.